Dear guests of this site! Welcome to Kharkiv, which is a regional centre of Ukraine and worthy of its title of a “Ukrainian megalopolis”! This is a giant of the Ukrainian industry, a big educational and cultural centre, the most significant transport nodal point of the Ukrainian state. The city has over 60 research institutes, 170 comprehensive schools, 150 educational centres; the number of higher educational establishments with different patterns of ownership has by now reached 80. Annually, about 20,000 young specialists graduate from higher educational establishments of our city. Kharkiv numbers 49 cultural institutions and centres, which include 5 museums, City Art Gallery, 6 theatres, 3 symphony orchestras. Kharkiv National Medical University is an integral part of the scientific, intellectual and cultural history of the country, one of the oldest medical establishments of Ukraine, a member of the International Association of Universities. Being founded in 1805, it has acquired invaluable experience in training doctors and is a leader of medical education in the country. Since 1951, university has become one of pioneers in training medical personnel for different countries of the world. During this period our educational establishment has graduated over 7,000 specialists for 120 countries of Asia, Africa, Latin America and Middle East. 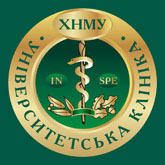 Graduates of Kharkiv National Medical University work in all parts of the world; they return health, and often even life, to people, therewith creating a good reputation for their alma mater. Our University will help you to become a high-level specialist and will provide with facilities for your further professional progress and career. We hope that the education, which you will receive at our University, is only the first step on the way of your life achievements, therefore we believe, that our further professional cooperation will be fruitful and long-lasting. Foreign students of Kharkiv National Medical University study at the 5th Faculty for Training Foreign Students (Russian medium) and at the 6th Faculty for Training Foreign Students (English medium), as well at the Preparatory Department, or undergo postgraduate and clinical postgraduate (residency) courses (Licence of the Ministry of Education and Science of Ukraine AB No. 552643). The training lasts 1 year. 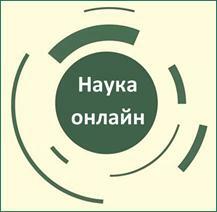 The Preparatory Department of KhNMU is one of the best in Kharkiv. The training is performed on the basis of the University departments and at its laboratories. This training is given in the Russian language and general subjects, including physics, chemistry and biology, with the purpose of the subsequent study of these students at higher educational establishments of the medical-biological type. During their training at the Preparatory Department of KhNMU its students make the acquaintance of professors and teachers of the University. On finishing the Preparatory Department its students are issued Certificates approved by the Ukrainian Ministry of Education and Science. •	“General Medicine”, the period of study is 6 years. •	“Stomatology”, the period of study is 5 years. Languages of instruction: Russian, Ukrainian, English. Since 1996 the University has been training students in the English medium in General Medicine, and since 2008 in Stomatology. The acade¬mic groups consist of 8-10 persons. Within the period of studies the students undergo academic training in main medical and dental specialities. They take part in examinations of patients, giving urgent aid, work at X-ray rooms, clinical and biochemical laboratories. Particular attention is paid to clinical rounds of patients, their management, filling in and arrangement of medical reports with their subsequent analysis. •	a postgraduate course with an opportunity to defend a thesis competing for a scientific degree, the term of training is 3 years. KhNMU has created all conditions for improving the professional level in the specialities acquired. The University departments have modern diagnostic and medical equipment and laboratories for researches. The most popular specialities include Surgery, Ophthalmology, Traumatology and Orthopaedics, Urology, Obstetrics and Gynaecology, etc. The work of a clinical postgraduate (resident) is carried on in compliance with the individual plan, which is devised and approved under the guidance of the head of a department or its professor, who is responsible for training of this resident, not later than one month after his/her enrolment. The plan envisages study of the basic speciality, a number of related clinical subjects, medical statistics, clinical biochemistry and pharmacology, medical genetics, etc. Each specialist, who has finished his/her clinical postgraduate course, is awarded a Certificate of Specialized Training in Medicine (Residency) according to international standards and a Transcript to the above Certificate with indication of the numbers of hours in the studied subjects and grades for them. This Certificate gives the right to carry out all works, which are related to the speciality acquired. In order to enter Ukraine with the purpose of receiving higher education it is necessary to get a student’s visa in the Ukraine’s Embassy. The visa is granted on the basis of an invitation of the Ministry of Education and Science; this invitation is issued by the University in accordance with the established procedure. In order to receive the invitation it is necessary to submit an application and copies of the person’s passport and general certificate of secondary education. Foreign citizens, who have complete upper secondary education, are admitted to the first year. 7.	return ticket valid for one year with an open date for the applicant’s return to his/her home country. The documents set forth in paragraphs 1, 2, 3, 4 shall be originals. If these papers are in English, French, German, Arabic or any other language but not Ukrainian or Russian, applicants should submit authorized translations of the documents into Ukrainian or Russian. The documents are to be certified pursuant to the legislation of the country of their origin and legalized pursuant to the established order, unless other ways are provided for by international agreements of Ukraine. Foreign citizens are admitted to the first year of KhNMU by the Admissions Committee from August 15 to November 1. His/her papers having been checked, the Admissions Committee makes a decision to allow the foreigner to take interviews in biology and the Russian or English language. 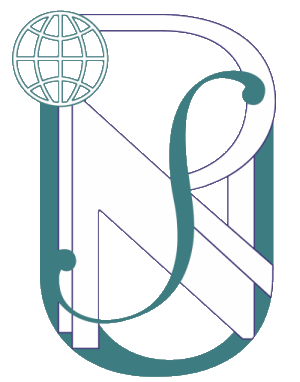 The knowledge is graded as “sufficient” or “insufficient”. In accordance with the results of the interviews (provided the entrant’s level of knowledge is graded as “sufficient”) and on the basis of a decision of the Admissions Committee the entrant sets up a contract with the University for training. The student having paid his/her tuition fee, an order about the student’s enrollment to the University is issued. A person, who wishes to undergo a clinical postgraduate course (residency), should take a speciality examination in order to assess his/her level of skill and knowledge in this medical occupation and his/her professional level as a medical specialist. The Ministry of health of Ukraine analyses the submitted papers and results of examinations, and after that gives its consent to enrollment. In order to undergo a postgraduate course, foreigners should, in addition, submit a certificate of finishing a clinical postgraduate course (residency) in the proper speciality. Accommodation for the foreign students is provided by student hostels rated at 2,422 lodgers. In order to live at a hostel, the students must conclude a proper contract. This accommodation is available for the whole period of training. Hostel fees depend upon the size and comfort of the dwelling space. The University Scientific-Practical Medical Centre provides medical care of students. The students regularly undergo prophylactic medical and photofluorographic examinations. The students have meals at 2 canteens for 160 clients and 6 refreshment bars for 80 clients. The students are provided with facilities for going in for sports. The University has 3 gymnasia (for games, gymnastics and heavy athletics). With all questions, concerning admission of foreign citizens for training, please contact our International Office. was a recipient of the Gold Medal of the International Exhibition “Education and Career – 2010” in the nomination “Development of Students’ Research”.